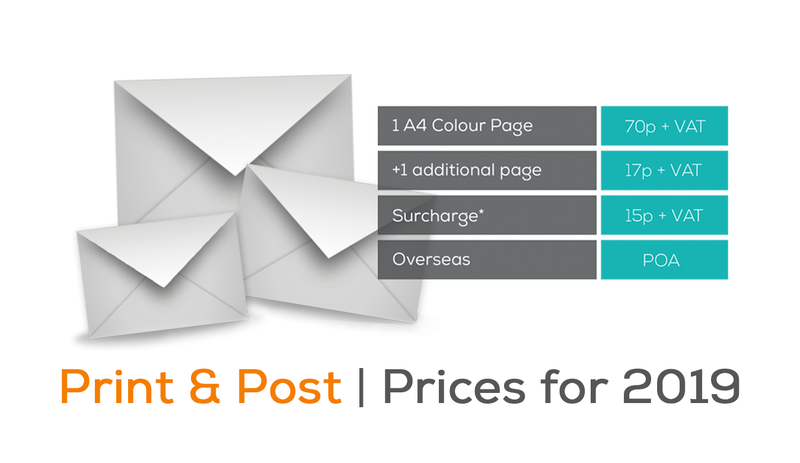 Starting from January 2nd 2019, the price of print and post will increase slightly. This is due to our partner, CFH Total Document Management Limited, who provide the print and post service, making a change to their prices. Print and post is an easy way to send any document from Commusoft by post. Save time and resources by letting a professional document processor handle everything for you. Check the chart below to review the new prices. 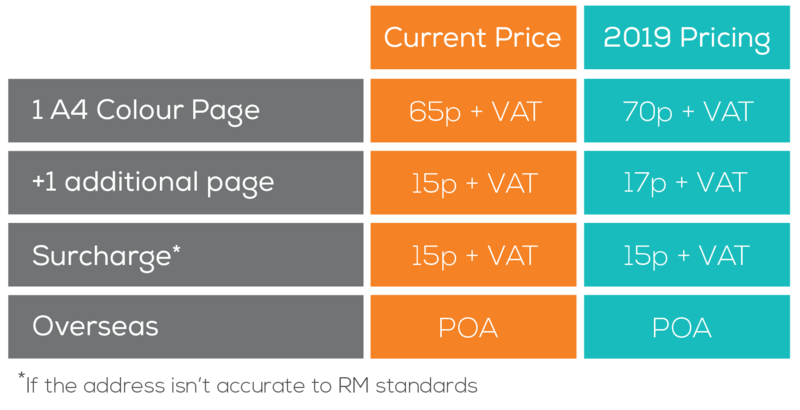 The price for 1 A4 colour page will increase by 5p in the new year and the price for 1 additional page will increase by 2p. There is no change to the surcharge price, which is incurred when the address provided is not accurate to Royal Mail standards. As before, overseas pricing will need to be discussed on a case-by-case basis. What is print and post? Commusoft manage all of your documentation, invoices, and certificates digitally. However, we know that some customers require or expect paper copies to be posted out to them. This is why we partner with CFH, an industry-leading mail management company, to offer an expert print and post service. Save time and resources spent printing documents, address labels, preparing post, and getting it to the post office. With print and post, all of this is done for you. Professional look - CFH provide quality printing and stationary, with a consistent and professional look. Quick dispatch of documents - we offer next working day dispatch for orders placed Monday to Friday. Don't worry about finding the time to post out documents or accidentally leaving them on your desk. CFH offer swift dispatch, which your customers will surely appreciate. Reduce need for bulk buying and storing stock of paper, envelopes, stamps, and ink. If you are interested in using print and post to improve your business's communication, please get in contact. You can either email support at support@commusoft.co.uk or give our sales team a call on 0203 0266 266, they'll send over the full terms and conditions and get you set up as soon as possible.